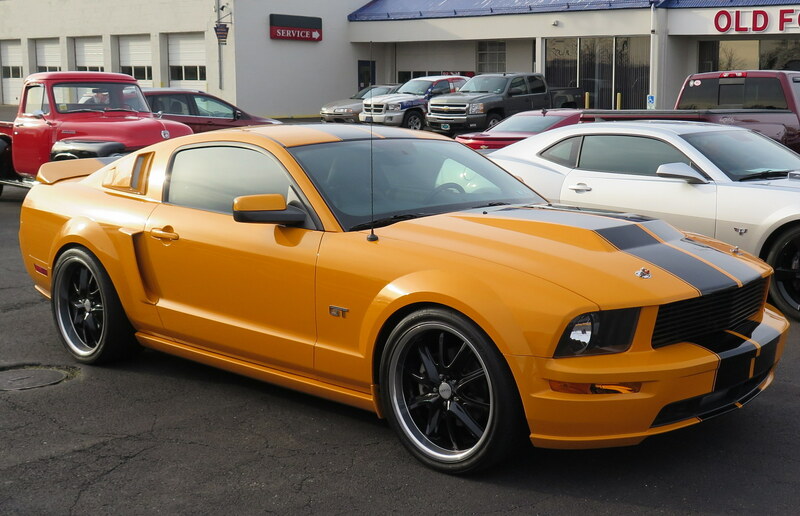 Testimonials | OLD FORGE MOTORCARS INC.
From: James of Illinois "I love it!!!!!!!!!!!" From: Scott of Canada "Contacted Old Forge and was guided through the process patiently and thoroughly. I had the car appraised and confirmed it was as shown. The car arrived as planned. Joe and Wayne communicated when I had questions. I hope others get the opportunity to meet and utilize the Old Forge Team"
From: Jim of PA "Tried selling my 66 Ford on my own with no luck. Found this place by accident, Pete, Wayne and the service center were awesome to work with. Down to earth, honest people got more $ than what I expected when sale was completed. Car sold in less than 1 week." From: Al of NJ "I just wanted to express our thanks for the positive experience you and the others at Old Forge helped to create for us in purchasing the Corvette. We appreciated your frankness about the car and the efficient processing of the transaction." From: Barbara of MI "Just wanted to Thank-you again for your help with the 2010 Camaro SS. I couldn't be happier with the car, it was well worth driving over 500 miles to get it. Please thank everyone at Old Forge for the assistance I received to make it happen"
From: Robert of AZ "I just wanted to take a moment to let you know that I really enjoyed my purchase experience from Old Forge and the customer service I received from Joe Dodman. I wanted to get a low mileage first generation Mazda Miata and found a car that met the criteria at Old Forge. I was somewhat hesitant to buy from a dealer so far from Arizona, but the experience with Joe was excellent. He helped me find a transport company, answered my questions and kept me up on the status of receipt of funds, shipper arrival etc. He was a pleasure to work with and clearly has pride in his job and Old Forge as a business. Joe didn’t try to oversell the car or mischaracterize it in any way. He was even nice enough to text me photos of the car after it was detailed and got me the Title promptly. The car arrived Sunday and was as described. I’ve since had the car registered and taken it for several runs around some of the many great roads in and near Prescott, Arizona. I’m very happy with my purchase. 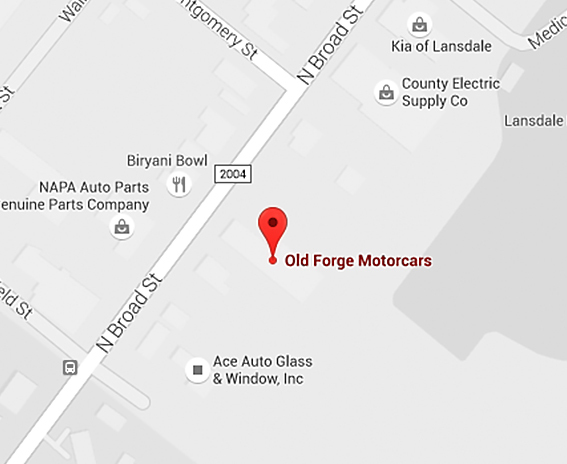 Since I have friends and family in Pennsylvania I’ll be sure to recommend Old Forge if anyone is looking for a good deal and great service on a classic car purchase." From: Greg of PA "I highly recommend Joe Dodman and Old Forge Motorcars in Lansdale, PA. Joe was friendly, honest, and professional. He made sure that the process of selling my '93 Miata went smoothly from beginning to end. I was going to put the car on eBay Motors when I decided to let the experts at Old Forge handle the process. I couldn't be happier with the outcome. Highly recommended!" From: Stephen of PA "Excellent and professional service. Great work done on my vehicles." From: Brian of NJ "Joe Dodman came highly recommended. Personal attention from start to finish. The car was exactly as advertised. Kevin did a great job with delivery. 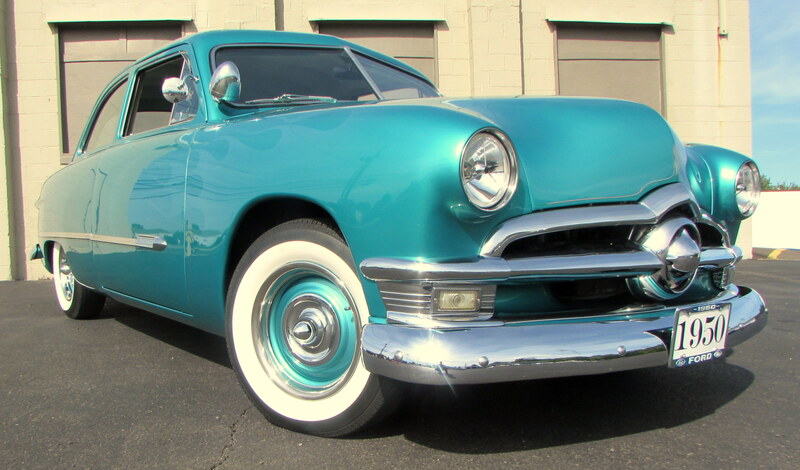 I recommend Old Forge Motorcars to anyone looking for quality classic cars." From: Roger of TX "Super! Great Car! Thanks!" From: Donna of PA "Great place!! Professional. Jason Barnes and Steve Davis are the best!" From: John of CA "Car is like new. Couldn't be happier. 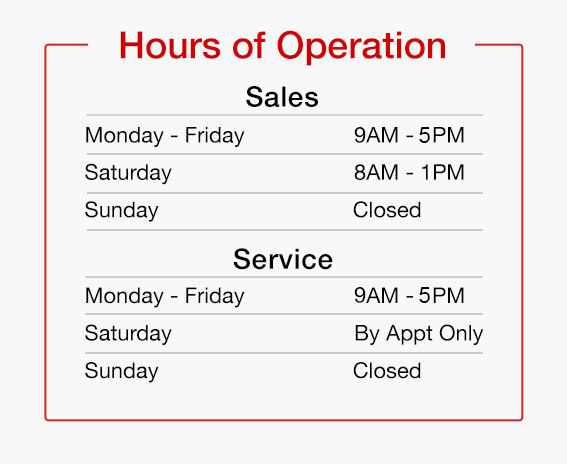 Good communications, easy transaction." From: Peter of PA "Very happy with the '64 Chevy Impala SS, great people to deal with, great service for your vehicles." From: Tony of PA "Great place to do business. Just purchased a 1960 Corvette there and Wayne couldn't have been nicer to deal with. Great to chat with Pete about the old cars. Would recommend this business highly. By the way... drove the 1960 Vette home...a three hour ride and it ran great!!! Thanks again Wayne & Pete." From: Marion of D.C. "Honest, trustworthy, professional crew. 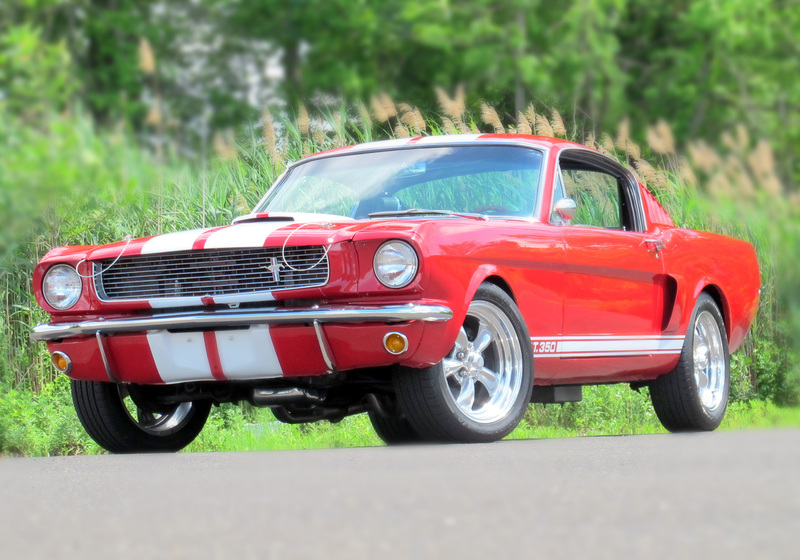 Can't say enough good things about them"
From: Steve of N.Y. "Beautiful car, Thanks"
From: Phil of the UK. "We have had the Model A Tudor for about a week now. Just a note to say we are really pleased with it. It's in great mechanical condition (better than we hoped) without being over-restored. Thanks for the great service"
From: Peter K. of PA. "GREAT PLACE, PEOPLE, AND SERVICE"
From: Matt E. of PA. "Great dealership - very knowledgeable sales and service staff!" From: EBAY user akomcar "nice car in good condition, serious and proper seller, good communication"
From: EBAY user gokartkid1 "very happy with car description was right on would buy from these guys again"
From: Bill S. "Car is awesome extremely fun to drive got a great deal salesman Wayne was very helpful awesome place to do business with would recommend to everyone looking for classic,antique or muscle cars"
From: Joe A. "Likes the Eldorado very much, very happy, all went well"
From: Joe S. "Love the car -- good transaction"
From: Ken V. "It's fantastic, I love it"
From: Charlette B. : "Wayne and Pete are true class acts and professionals! Being a seller I greatly appreciated the expert photos, description and national exposure. I highly recommend them for car consignments. No more tire kickers and stupid phone calls. They will have another consignment from me next month. They get the job done right." From: Bill W. of PA. "They did a fast and beautiful job on a laundry list of repairs to my '64 Mercury!" From: BlackCat B. : "Love the Model A Tudor, it is exactly as described"
From: Special C : "Purchased a car from Old Forge Motorcars in Lansdale PA. Vehicle was exactly what they described and the condition they reported it to be in. The vehicle was ready for me when I arrived to test drive and review. Since that time the vehicle has performed wonderfully and is the comfort I expected. All equipment has performed exactly as it was supposed to and the price was amazing." From: Heaven L : "Old forge is great! Wayne is a class act and will do whatever it takes to help you out. Their cars are just as described and the pictures on the Internet don't do them justice. You won't be disappointed. I'm not." From: Mae B. : "Love the T-bird, just as described would recommend Old Forge to anyone in the market for a classic car"
From Faye P. : "My wife's car needed to be serviced before we went on a road trip and they happily squeezed us into their schedule! They changed the oil, did a safety check on all the belts and hoses for us as well as the brakes. They even washed the car for her! Luckily the car didn't need anything, but the service manager, Jim, gave her a few thing to look after in a few months. We were recommended by a friend and will be going back for regular service! Thanks!"